As of 2011, there are 500,000,000 active users. That’s 1 in every 13 people on Earth. 48% of 18-34 year olds check the site right when they wake up. The 35+ demographic now represents more than 30% of the entire userbase. 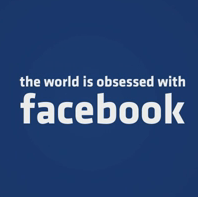 There are 206.2 million Internet users in the U.S. That means 71.2% of the U.S. web audience is on Facebook. 48% of young Americans said they find out about news through the FB news feed. A record-breaking 750 million photos were uploaded to the social network site over New Year’s weekend. » Visit Alex Trimpe’s portfolio. Posted by Pieter on February 22, 2011 at 12:30 AM. Use this trackback if you're linking this story.